Ok, so we all know that budgets are getting bigger and bigger in the world of football. But even though that’s the case, Football Manager players will know how important it is to trawl through the bargains in the transfer market with a fine-tooth comb to help balance the books. Fail to look after your finances properly and you can get walloped by Financial Fair Play or watch your club descend into turmoil. 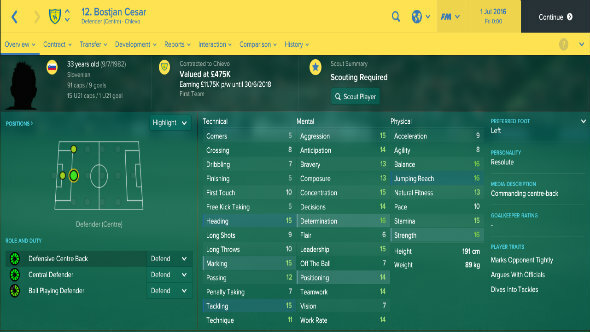 Nabbing bargains can help you strengthen the first team, take you onto glory and secure the long term future of the club – all of which is pretty darn satisfying. Take charge in a new role with these PC simulation games. So, to help you look after the pennies and improve your side, we’ve plucked a Football Manager 2017 starting eleven out of the bargain bin for your perusal. Ideal for managers of teams playing in top divisions, these players will hopefully break into your first team without breaking the bank first. 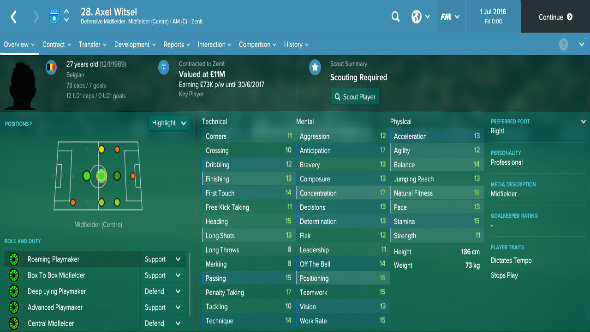 Below you will find the best FM 2017 bargains to strengthen your setup. 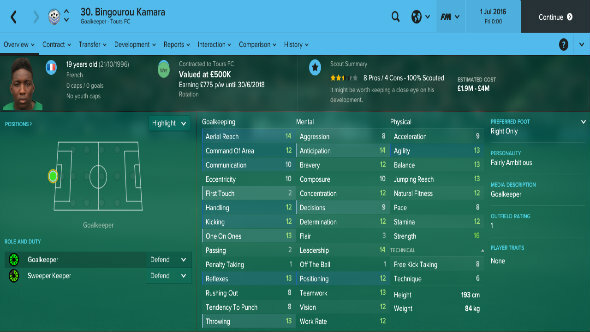 If you’re on the lookout for a young goalkeeper with the potential to become a reliable first team option, Bingourou Kamara will be of interest to you. Valued at only £400k, the 19 year old has good reflexes, good jumping reach and is strong enough not to be bullied in the penalty area. His poor first touch suggests he won’t be a sweeper keeper any time soon, but for managers seeking a traditional man between the sticks he looks like a promising prospect. 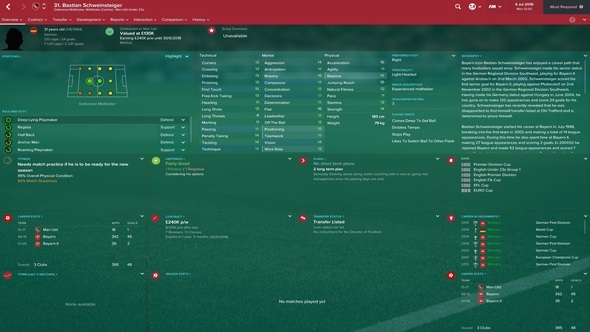 Although he is first choice at his club side Tours, their position in the French Second Division means he should be easy to sign up on the cheap. Just make sure to give him playing time in cups or out on loan to aid his development. Danilo’s time at Real Madrid has been an unhappy one. But his and Los Blancos’ misery is your gain, as he is available at the reasonable price of £7m at the start of the game. 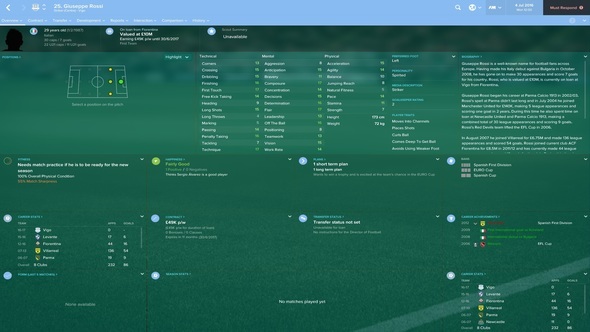 Powerful, pacey and physically fit, he fits the right back mould perfectly. And while it makes sense to work on the defensive side of his game a bit, his player traits makes Danilo quite the threat going forward. But while he is a bargain in terms of his transfer fee, watch out for his wages. The inflationary effect of signing for a big team means he might be a little costly for most sides, so try to convince Real Madrid to subsidies part of his wages if his contract demands are too high. Serdar Aziz is a great centre back for anyone who likes their defenders to take it to their opposing number. Although he is most comfortable playing as a central defender on a defend duty, Aziz can be trained to become an excellent stopper. His marking, heading and tackling attributes are solid enough to make it so, but it’s his bravery and determination that make him a great option to go after opponents. As with Danilo, Aziz’s wages are a little bit high. But if you negotiate properly, you should be able to get the Turkish international in for a few million pounds – well worth it for a defender who can do a solid job for just about anyone. One of the biggest problems that newly promoted top-flight sides face is a lack of experience in their ranks. That’s why Bostjan Cesar could be a potentially useful option at centre back for managers. Defensively, Bostjan Cesar is good but limited. 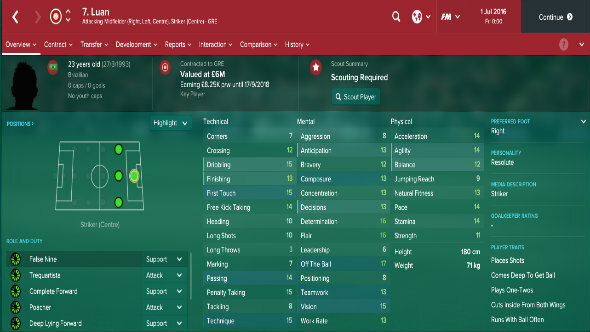 Best played as a defensive centre back, the 189cm tall Slovenian is (unsurprisingly) good in the air, solid in the tackle but not particularly fast. However, as a left footer Cesar can help teams wanting to play the ball out of the back to distribute effectively. And when you add to that his excellent mental attributes, as well as his low cost, Cesar could prove to be a handy signing for sides needing a leader to balance their defence. 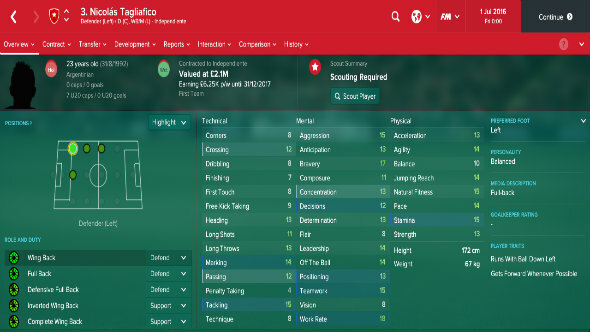 Nicolas Tagliafico is one of my personal favourite underrated FM gems. The young Argentinian full-back is pleasingly cheap and surprisingly good, making him an excellent long-term signing for most teams. Tagliafico plays a bit like an old school Argentinian left back, in the sense that he’ll do just about anything to stop his opponents getting past him. Although his defensive stats are excellent, and help him to stave off opponents, his decent pace and frankly excellent work rate make him a nightmare to get around. And though he might lack dribbling ability, his crossing stat is dangerous enough to make him a threat from deep. So if you have a really good left winger hugging the touchline, buy Tagliafico for under £3m and play him as a wing back on defend. He’ll provide reliable defensive cover and chip in with the odd assist as well, making him very good at that price. 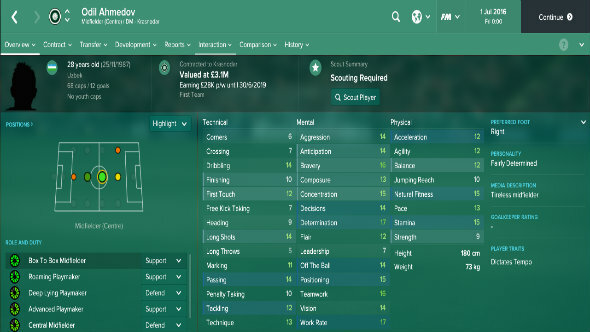 An alternative to Cesar in the potential low-cost leader stakes, William Kvist is a calming midfield presence who will make sure that your side doesn’t lose the ball cheaply. 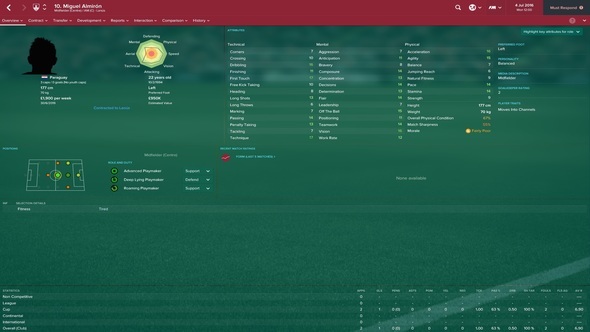 While his technical stats are fine, it’s Kvist’s mental attributes and player traits that really make him the player he is. A quick examination of his decisions, concentration and composure stats paint the picture of a player who can intelligently command most situations, while player traits favouring short simple passes and disavowing long shots means he will be sensible in possession. This makes the 31-year-old a good option for managers seeking a sole defensive midfielder or a defensive central midfielder to hold the fort. When he’s not being asked if Chicago Fire can win the World Cup, Bastian can be found pulling the strings of any top-tier side’s midfield in FM 2017, and regularly finding himself among the first overall picks in Fantasy Draft mode. All by virtue of his frankly ridiculous asking price. Bastian’s advancing years and expensive yet rapidly expiring contract have evidently had an adverse effect on his overall value, but as his stats reflect he’s still capable of putting in great performances at Champions League level. He’s best deployed in a DMC role, but thanks to a swathe of technical and mental stats above 15 the German stalwart can push further up the field and even knock a few in from the edge of the box. Despite playing in Russia for a number of years, Axel Witsel is clearly good enough to play for most teams in the Champion’s League. Witsel is strong in possession, technically skilful and possesses enough skill to move the ball around the field effectively. But as he is also over six foot tall, strong and incredibly fit, it means he has the right physical profile to dominate matches. Best of all, he is available relatively cheaply for a player of his class. If you like taking a risk, Witsel will leave Zenit at the end of the 2016/2017 season on a free and could be snapped up without a fee. But play your cards right and you can get him in the summer of 2016 for his asking price – so don’t be afraid to spend a bit if you want to get him. Get ready for the next Arturo Vidal – this kid’s got potential. 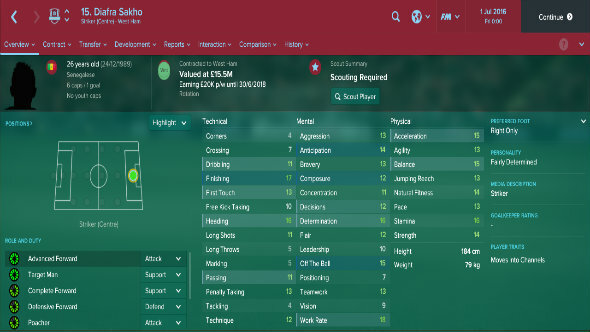 He’s not being pushed to play his best at Lanus, but sign him with a world class training facility on your side and watch those stats grow – Almiron’s hidden numbers for potential ability and potential positional rating are strong enough to one day warrant a place in a Champions League starting eleven one day. Equally at home as an advanced or deep-lying playmaker, Almiron’s decent defensive stats and surprisingly developed mental attributes for a 22-year-old make him useful right away for most sides, though he’ll need a season or two before making the kind of impact he’s truly capable of. Uzbekistan is not necessarily known for its footballing talent, but Odil Ahmedov could be the man to help change your mind about that. Playing for Krasnodor in Russia as a box-to-box midfielder, Ahmedov will work himself into the ground for your side. Fit and determined, he is the kind of player who will happily shuttle backwards and forwards on your behalf every time he takes to the pitch. However, there is more to Ahmedov than that. An intelligent player who is also a good dribbler and passer, the 28-year-old could prove to be a surprisingly effective creator considering his low price tag. He possesses the flair and dribbling of a winger, has the finishing and composure of a decent forward and boasts the vision of a playmaker. This means that the youngster can be easily retrained to fulfil a number of different roles, while he can also helpfully fill in whenever you have fitness problems. To get Luan, you will have to pay a bit more than his market value at the start of the game. But if you keep your bid down to roughly £8m-£9m and account for the fact he will ask for less pay due to his low wages at Gremio, we’re confident that he will rapidly prove himself to be excellent value for money. Buying top quality teenage talent from Scandinavia is a rite of passage for all Football Manager players, and Norwegian youngster Refik Zekhnini is the latest in the list. The 18-year-old winger plies his trade at Odd, but already looks like he could be a right fit for a number of top teams. Quick, tricky and a decent dribbler, Zekhnini has the potential to be a handily inexpensive long term attacking option. The only problem with the youngster as things currently stand is his position. Currently favouring a winger role on the left despite being a right footer, it makes sense to retrain him as an inside forward and teach him to cut inside. That way, he’ll be able to make the most of his burgeoning skillset. Giuseppe Rossi has been flip-flopping between delighting and dismaying football managers both real and virtual for nearly a decade now. If you signed him from Villareal to save your ailing Sunderand side in 2007, you could be forgiven for giving him a wide berth. 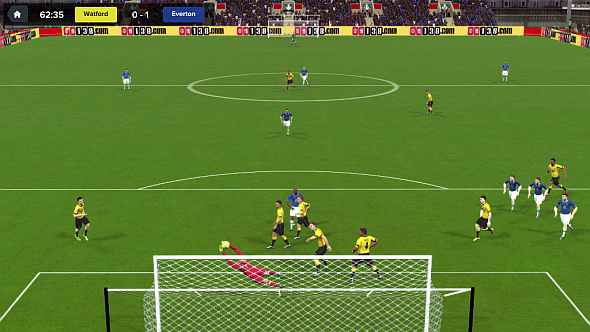 However, latter day Rossi is a goal machine if he’s played in the right way. The diminutive Italian has a way of timing his runs and finishing first time that’ll guarantee wins if he’s on the pitch with good wingers. 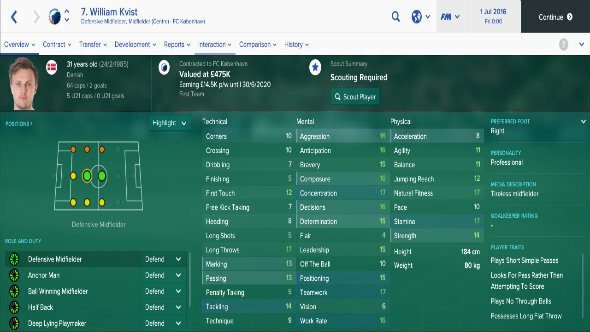 His physical stats have never been great, but a successful time at Fiorentina means he now makes the most of his pace and agility, pairing them with composure, technique, finishing and positioning stats all above 15. A fantastic signing for mid-league top-tier sides, and a reliable backup for those with higher aspirations still. We’re going off the beaten track considerably with Miguel Borja. He’s not a household name – yet – and his stats don’t at first look that tantalising, but the hidden numbers behind them reveal some massive potential. 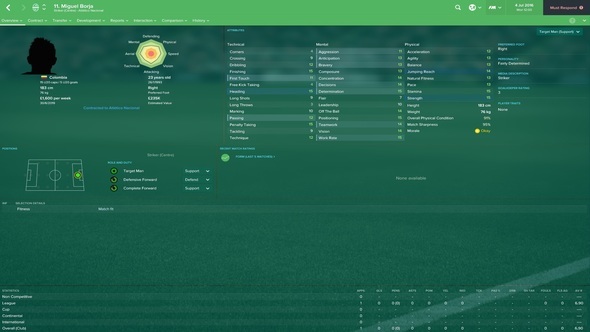 IRL Borja’s made a big money move to Palmeiras and is worth just short of £20 million, but at the start of FM 2017 he’s still an unknown at Atletico Nacional. Take a look at how many 13s and 14s he has – basically all his physical and mental stats. Give him a year or two at a top club for those numbers to turn into 15s, and you’ll have a fantastic target man with good aerial ability for under £250k, and whose wage demands are pocket money next to most. What’s more, he’s already got 15 for heading and finishing, which means he can make an immediate impact for most sides. 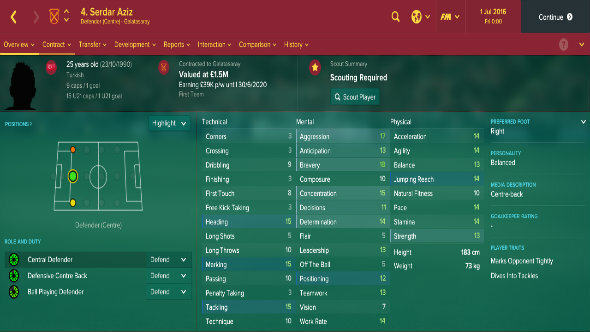 Bag him young, and you could be onto the next James Rodriguez. Finally, we’ve dived back into the transfer lists to recommend a centre forward who can certainly still cut it. Diafra Sakho is a great option for any club seeking a goal scorer. He is good off the ball, decent in the air and is an excellent finisher. But because he is also fast, hard working and likes to run the channels, he is also a pain for defenders to play against. Although the Frenchman is valued at £15.5m, you can pick him up at the start of the game for a very decent £8.5m instead. This is particularly good value, as Sakho can play a number of roles well and will come in on a relatively low wage.